How Much Do You Know about Patriotic Songs?? Here are three trivia questions to check your knowledge...Don't peek! 1. What was the name of the poem the lyrics from the "Star Spangled Banner" were taken from? 2. Who wrote "This Land is Your Land"? 3. "My Country Tis of Thee" is the same melody as the British National Anthem...True or False? 4. What songs are these lyrics from?..... "We Fight our country's battles...."
5. In "Yankee Doodle Dandy", what did he call macaroni? 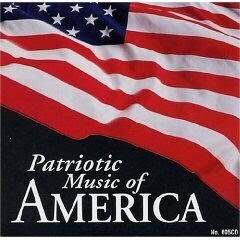 Find the Patriotic sheet music you are looking for here!